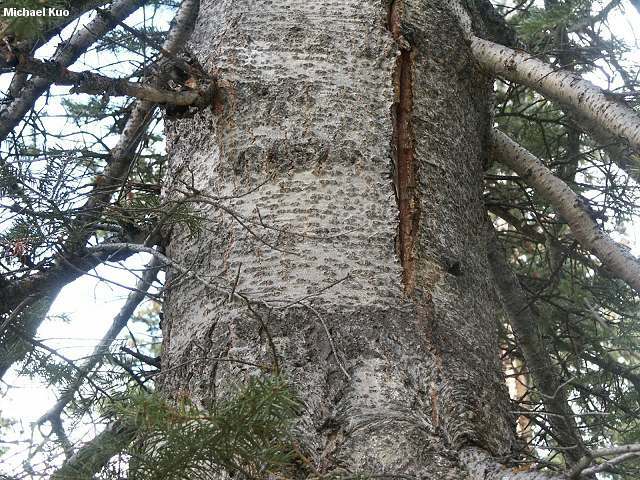 Needles more or less flat, shorter than 2 inches; bark gray, fairly smooth; at high elevations in the western mountains. 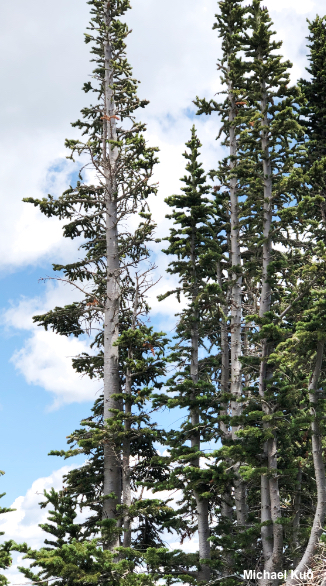 Habitat: At high elevations in the west; typically in cool, wet soil; usually in mixed woods--often with Engelmann spruce, lodgepole pine, or quaking aspen. 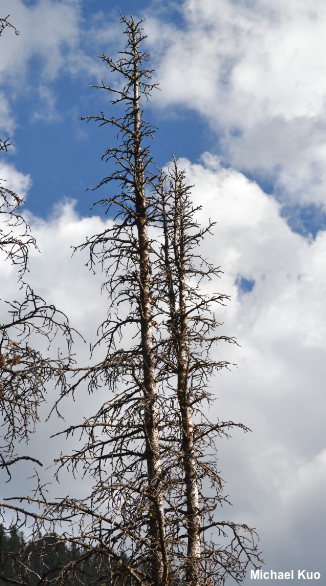 Stature: 60-100 feet high; to 2 feet in diameter; narrowly pyramid-shaped; branches dense, short and thick. 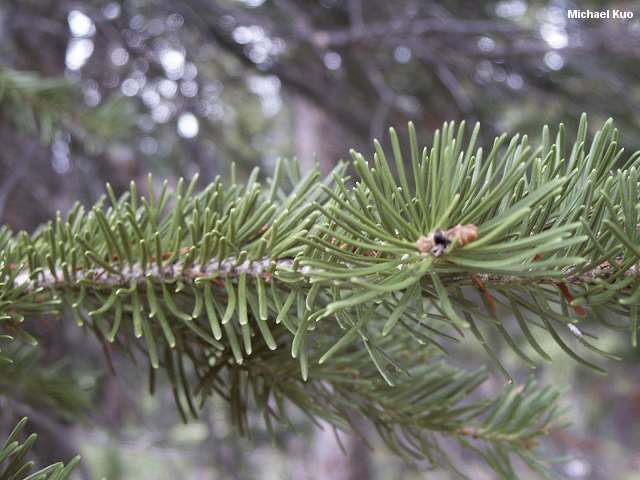 Needles: Under 2 inches long; dark blue-green; flat; often twisting at the base; crowded. 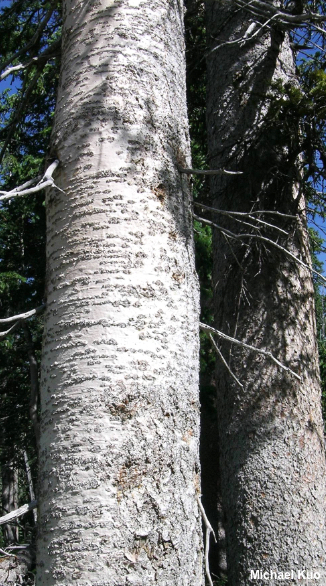 Bark: Thin; smooth (except for resin blisters); gray. 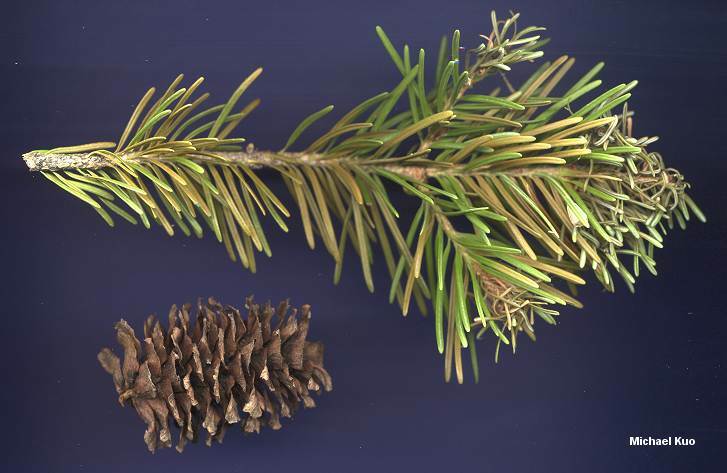 Cones: 2-4 inches; scales longer than they are wide. Agaricus amicosus; Albatrellus ovinus; Amanita muscaria var. flavivolvata; Calocybe onychina; Catathelasma imperiale; Cortinarius species, including Cortinarius glaucopus and Cortinarius pinguis; Floccularia fusca; Lactarius caespitosus; Leccinum species; Russula cinereovinosa; Sarcodon imbricatus; Tricholoma equestre; and many others.